A partial Solar Eclipse occurs on 24th October, 2014. It serves to focus attention upon worldly matters impacting us all, and the earth on which we live. We reside within the grace of the Solar Logos, Who is a Cosmic Being embodying our sun. A Solar Eclipse occurs when the Moon casts its shadow on the Earth, due to the passing of the Moon between the Sun and Earth. In ancient times this created great wonder and is esoterically referred to as the Cosmic Serpent swallowing the Divine Egg. Out of the darkness, Light comes blazing forth. When this happens we receive here on earth, an injection of Solar Love, which is especially potent during a Total Solar Eclipse. This Love then stimulates humanities shadow, in order to quicken our consciousness, thus hastening our evolution. Solar Eclipses impact us in sequences – we continue to receive stimulation from recent, previous Solar Eclipses. Generally speaking, there are two Solar Eclipses every year; the most potent ones, also the rarest, are the Total Solar Eclipses. Each Solar Eclipse is preceded by a Lunar Eclipse. Under a total Lunar Eclipse, such as experienced on 8th October, 2014 (Australia) the light of the Sun, (which is normally reflected upon the face of the lunar body during full moon), is obscured by Earth’s shadow passing between these luminaries. The earth is a non-sacred planet and similarly the moon reflects varying degrees of soul light. So, it can be said, that the Solar Love of the Sun is veiled by earth’s shadow. What we see upon the face of the full moon, during a Lunar Eclipse, is a mirrored reflection/distortion of the Sun’s pure Rays/Love. People respond differently to Lunar Eclipses, depending upon their inner orientation. Some find that their shadow/mirror self comes to the foreground. Others see through veils of illusion, to a deeper level of reality. Others act as transmitters able to radiate the Love of the Solar Logos into a world, trapped in mirrored darkness. Our level of consciousness, determines how we individually respond to such planetary phenomena. 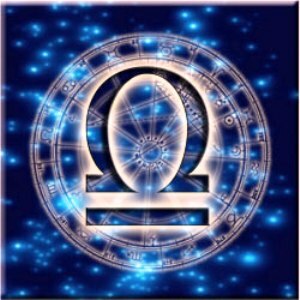 As this Solar Eclipse falls in the fixed sign of Scorpio, its impact will be sustained and enduring from October 2014 through until October 2017. The point of greatest Eclipse on 23rd October 2014 (24th in Australia) occurs in Hudson Bay, Saskatchewan. However the Path of Umbra, (shadow of the eclipse) sweeps in an arc within range of northern Japan; across eastern Russian peninsulas, through Hudson Bay, Canada and the north Atlantic states. As it moves south it creates a wide arc following the Mississippi to Florida, through the Gulf of Mexico culminating in Central America. All of these regions will be especially influenced by this Eclipse, as will regions/countries governed by Scorpio. These include:- Algeria, Bavaria, Catalonia, China, Indonesia, Nova Scotia, Israel, Korea, Manchuria, Morocco, Norway, Paraguay, Siberia, Syria and Turkey. Some of these countries are impacted twice – Manchuria, Siberia and Paraguay – as they also fall within the Path of Umbra. Others – Syria, Algeria, Israel and Turkey – are placed in the global spotlight, due to the significant escalation of war (governed by Scorpio) in the Middle East occurring now. This Solar Eclipse will particularly impact people/nations born within a few days either side of 14th October. It will also impact you greatly if your Ascendant, Moon or personal planets fall in the early degrees of Scorpio. Scorpio is a sign of transformation and it has three distinct phases symbolized by the serpent, eagle and phoenix. All things pertaining to sexuality, death and spirituality come under its influence. How we respond to challenges associated with these matters varies enormously. The serpent represents ordinary human experiences, especially the desire to possess and control other people/nations. 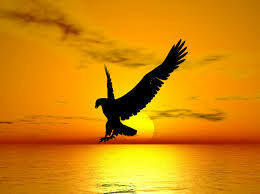 The eagle is the victorious soul soaring above selfishness and separation in all their forms. The phoenix holds the highest vibration of Scorpio. It reminds us that when we persist in healing and cleansing on a deep physical, personal and interpersonal level, then we lift, even for a moment, from the depths to spiritual heights. We may experience this grace as inner peace, freedom, joy or acceptance. Venus, ruler of the eclipse, falls exactly conjunct Sun and Moon in 0 degrees Scorpio. Unfortunately the fine qualities of Venus, associated with our capacity to love and see the truth of genuine love are hidden or obscured, when Venus falls in Scorpio. Unredeemed aspects of our shadow selves – jealousy, rivalry, hatred, cruelty – will arise for healing over the next few years. Especially in interpersonal relationships, we are reminded to continue to strive to love wisely, deeply and from the heart. Unconditional love releases others to be themselves. Striving to live unconditionally frees us from our past. Unconditional love claims nothing for itself, it surrenders and refuses to grasp. During the period of this Eclipse our relationship with death is paramount, as Scorpio governs death and spiritual rebirth. Some people will undergo a mini-death of their personality; others will enter, via Scorpio soul expansion during December’s Holy week or other Spiritual Festivals. To find ones foot safe upon the Path of Light; to Birth the Christ in the Cave of the Heart; this is goal for which all of humanity strives now. Given the preponderance of Middle Eastern nations governed by Scorpio (Syria, Turkey, Algeria, Israel), combined with Saturn seated in the position of national pride (23rd degree Scorpio) it is hard to predict who will blink first. Fundamentalism in all its forms has no place in the Age of the Heart, which is birthing on earth. Whether it is the warlike pursuit of oil, gas and access to Mediterranean ports currently being waged by some countries; or fanatical zealotry undertaken by a minority in the name of Islam; these actions have no place in earth’s future. We move towards the New Dawn when, as a race humanity will overcome ancient hatred focused in our hearts and places like the Middle East. Neutralizing this harm is the only way we can progress on the Path of Light. Systemic hatred, embedded in hearts, governments and the land itself, can only be neutralized by tolerance, goodwill, the will-to-good and love. Our ability to move beyond these issues is pivotal to the liberation and survival of humanity on earth. On an exoteric/worldly level, Mars placed in Sagittarius, unleashes, via the 4th Ray of Harmony through Conflict, the shadow of violent Jihad and wars driven in pursuit of the mighty dollar or religious persecution. Mars, void of the course, is a ticking bomb, previously ignited, now flaming to life through fanaticism. Protracted war and carnage is felt globally as the death throes of the Piscean Age echo through our lands and hearts. We simply cannot evolve as a species, if we persist in carrying forward racial and religious hatred. Mercury, closely conjunct the North Node in Libra, indicates the voice of reason. Moderation through global organizations is the way forward. The question remains do these organization have the will to act for the good of the whole, or have they been overrun by corruption, ambition or apathy? Difficult aspects between Mercury/North Node in Libra and Neptune in Pisces do not auger well for the resolution of many of these global conflicts. Instead media and internet outlets have been corrupted, manipulated and perverted for their own unholy ends. On a personal level, strive to find your point of balance; all things in moderation. Mercury moves retrograde calling us to follow the inner voice, our conscience . Refuse to allow fears, anxiety and apathy to impede your progress. Meditate, attune to the earth, connect to the Heart of all Love. Only good can come from such actions. Pandemics, especially those spread through bodily fluids – HIV AIDS, Ebola – will become more virulent over the next three years. During the Great Change many thousands of people will move through the Great Transition, we know as death, to the inner worlds of Light. Enter onto the world stage the Ebola pandemic, which has thus far taken the lives of thousands of people in West Africa, and now reaches its tentacles into the western world.Large scale loss of life is also anticipated via oceanic invasion, especially lands bordering the north Pacific Ocean. Ongoing melting of the northern polar cap is indicated in this chart through Neptune’s profound position in Pisces conjunct the Ascendant, with close aspects to the Eclipse in Scorpio. Pisces and Scorpio are both associated with physical and spiritual death and rebirth. Within this challenging Solar Eclipse chart, Jupiter resides in Leo continuing to radiate love, optimism and creative solutions to those who are open to the vibration of Love. These qualities will emerge in your life and on the world stage, when courage of the heart is found. Courageous actions, such as those demonstrated recently in Hong Kong by citizens demanding a democratic society, attract spiritual support – like attracts like. Refuse to follow the path of least resistance; open to change in your life, no matter how painful; forgive others; release personal ambitions which no longer resonate. “Ode to Scorpio”, despite being written at least twenty years ago, completes “The Eagle soars”. Transcend, transcend lift up your eyes! Offer forth your sacrifice upon the altar of the wise. Bend the head, bow the knee, find the true place. Renounce all, free the self, let the heart’s love embrace. Free the prison, break the chains, redeem the little self. Fly like the eagle become the glorious Oneself. Dare to speak truth! Dare to renounce lies! Dare to stand tall amidst the wicked and the wise. Speak only holiness, seal the lips to all else. Speak ill of none, lest the shadow enfold the Oneself. Pursue the Path at all costs, never give up, never look back. Climb the mountain, seek the heights through the shadows with all might. Hold the Light high, for one and for all.